The operation couldn't be performed because object 'EXCHANGE\First Storage Group\Mailbox Store (EXCHANGE)' couldn't be found on 'DC.domain.local'. All my customers want to talk about security these days. So much of our day to day work is done on the internet now, and the security landscape has changed significantly over the last 5-10 years. Our perimeter is no longer restricted to our LAN and firewalls, but instead lives with the users identity. Users are highly likely to use their corporate network password on other sites; who knows whether this other site has been breached or not? 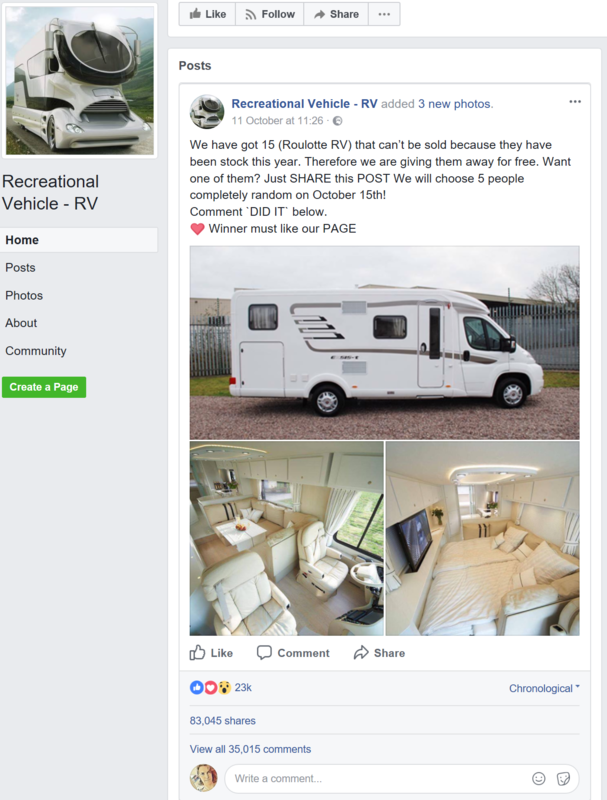 This page only had a single post. This one. It has 83,045 shares and 35,015 comments. In 3 days. Both of these numbers have gone up by around 1,000 while I have been writing this. The page had nothing in the about section. No website, no contact details, nothing. Nada. Zip. It was basically an empty page with one post on it. 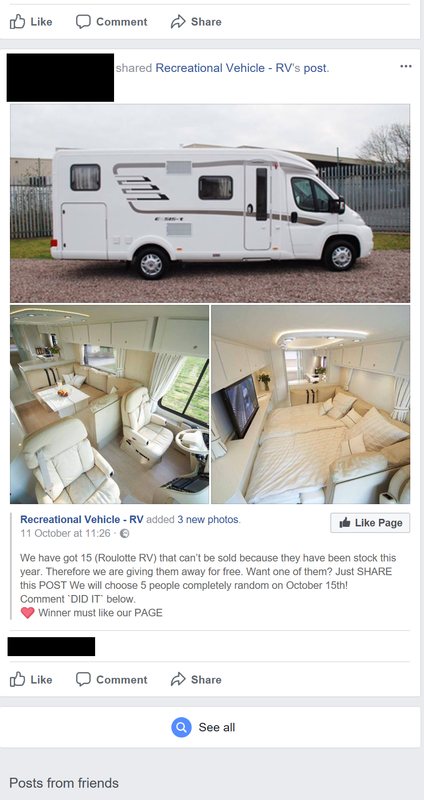 This was clearly a ruse and nobody was going to get themselves a free RV. I mean hey, maybe I’m wrong and an awful cynic who has been scarred by the internet. But in reality, this was a more than likely a social engineering experiment or phishing scam. Maybe the “lucky winners” would be contacted and asked for some personal details so that they could claim their free prize? Maybe they were directed to a fake Facebook login page? And maybe their Facebook login password was the same as their corporate network password? This post shows us all just how easy it is to get people to click on something, or believe something, on the internet. And this stuff is everywhere we look. As an internet user, we are faced with a constant stream of misinformation and misdirection, never quite knowing when something is real and when it isn’t. Security has never been more important. Using web filtering, multi factor authentication and implementing features for mail scanning like Safe Links and Safe Attachments (found in Exchange Online Protection) can help to a certain degree, but a very large part of this fight is user education. People should be taught that their first response should be one of doubt, not of excitement about the amazing thing they are about to see, or the prize they will never win. It’s a dangerous world we live in. But at least I’ll have a new RV to protect myself.